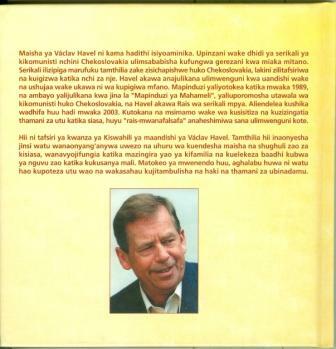 Author: Václav Havel †. Translated by: Abdilatif Abdalla, Alena Rettová. With an epilogue by: Abdilatif Abdalla, Alena Rettová. 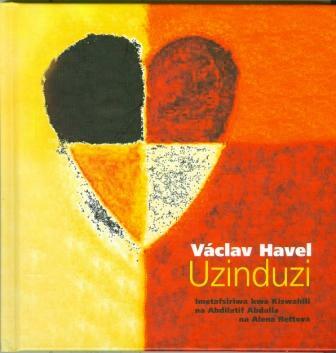 This play, written in 1975, was translated into Swahili and complemented by an epilogue concerning the life and work of Havel by the two Swahili-lecturers Abdilatif Abdalla (formerly University of Leipzig / Germany) and Alena Rettová (SOAS / London) in 2005. Václav Havel (* 5. October 1936 in Prague, † 18.12.2011 in Vlcice-Hrádecek) – a poet, philosopher, and politician – was one of the leading dissidents of Czechoslovakia during the communist leadership. He was essentially involved in the Velvet Revolution of 1989, and became President of Czechoslovakia from 1989 until 1992. After the country became the Czech Republic he was President from 1993 until 2003. Havel caused a political sensation criticizing publicly the censorship and the absurdity of the power device of the communist party. His plays which are in tradition of the absurd theatre essentially moulded the atmosphere in his country. In this time Havel was arrested three times spending a total of five years in prison. His jail sentence was interrupted in 1983 due to international protests as Havel fell ill and was released to a public hospital.